This is the story of a woman whose cells continue to grow after her death for over 60 years and still counting. Her name is Henrietta Lacks. 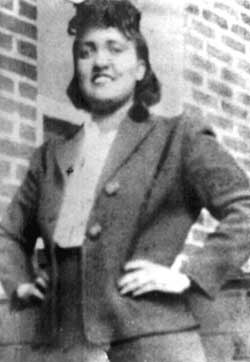 "Her name was Henrietta Lacks, but scientists know her as HeLa. She was a poor Southern tobacco farmer who worked the same land as her slave ancestors, yet her cells—taken without her knowledge—became one of the most important tools in medicine. The first 'immortal' human cells grown in culture, they are still alive today, though she has been dead for more than sixty years. Yet Henrietta remains virtually unknown. Henrietta's family didn't learn of her 'immortality' until more than twenty years after her death, when scientists investigating HeLa began using her husband and children in research without informed consent. Even though Henrietta's cells launched a multimillion-dollar industry that sells human biological materials, the family never saw any of the profits, and for decades after her death, many of her descendants struggled in Baltimore, often going years without health insurance."